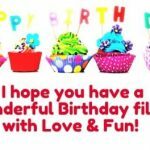 Are you looking for happy birthday messages to send to your family and friends or happy birthday messages to send to your lover?. 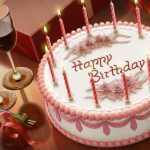 It true, then, you’ve come to the right place to send happy birthday messages that your love, family and friends are always going to cherish, and it will create a lasting impression in their heart and show how thoughtful you are. 1. Today is a gift, yesterday is history, tomorrow is a mystery that needs to be uncovered. On this day may the mysteries concerning your future be revealed to you and your dreams become reality. Happy birthday. 2. Now it’s official! He’s 20 today. Happy birthday. 3. Enjoy your day, make long lasting memories and smash those cakes. Happy birthday. 4. Success never goes out of vogue. I celebrate your new age and your passion towards being a successful person. 5. It’s double celebration today cos My baby is not just +1 today but is celebrating one of her achieved projects. Happy birthday superlady. 6. Life has a way of springing up dramas but you’ve made yours unique. Happy birthday. 7. There’s something about you that reminds me of everything good. Happy birthday baby. 8. Today is new evidence that you have to stand tall till you achieve all. Happy birthday lil miss. 9. Don’t count the years, don’t live on memories, don’t count all you’ve achieved. Just work towards making an impact. Happy birthday. 10. On days when I celebrate you, I wish I could adopt you as mine. Happy birthday dear. 11. Happy birthday mom. I wish you more years in perfect health, prosperity and more of Gods blessing. I love you my earthly angel. 12. Seconds have turned to minutes, hours, days, weeks, months and it’s a year already. I celebrate you on your birthday for making good use of your time in the previous years. Your achievements are too great compared to your age. 13. If only you look like what you’ve passed through, I wouldn’t be seeing the sweet 16 that you are. Welcome to the 50s Mrs.
14. Here’s what it feels like to being free. Happy 20th birthday. 15. I’ve been there, done that and I’m here to celebrate you in this new phase of life. Happy birthday. 16. Welcome to a world with unending fun, memories and terrific opportunities. 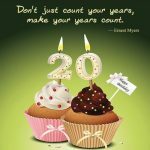 I celebrate you on your 20th birthday. 17. Happy birthday to the best daddy in the world. I love you endlessly. 18. Moms are known for so many things but thanks for being you. Happy birthday to my divine sent angel. 19. I love you and can’t wait to make today’s celebration a remarkable one in your life. Happy birthday. 20. You’ve been known for wanting to do something extra ordinary and unique. Happy birthday and I hope you achieve all your dreams. 21. She looks like one in her 20s has a lovely spirit. I doubt she’s 50 today but I celebrate you still. Happy birthday. 22. It’s your day. Steal the show, get on the dance floor, act crazy. You’re only permitted to act crazy in a unique way. Happy birthday. 23. Happy birthday to the smartest kid sis ever. Love you. 24. I’ve always kept this as one of my little thoughts about you but I’ll love to say you admire me with your smart actions and perseverance. Happy birthday. 26. Just becaus ej care about you, I’ll take a day off to appreciate and celebrate this unique fellow and collegue. Happy birthday. 27. This time next year, I hope to celebrate your birthday with your new family. Happy birthday. 28. Happy birthday to one of the youngest CEO I know. Enjoy your day. 29. Today is another great start for you to shine. Happy birthday baby. 30. And That’s the end of your teen age. Welcome to the twenties darling. 31. As you celebrate your birthday today, I wish you the best in this new age. 32. Happy birthday my little angel. I love you. 33. Happy birthday to the guy gifted with the most angelic voice ever. Keep breaking through. 34. Let’s paint the town red and boogie down. My friend is 20. 35. If we are to say something about you on this special day, I’m sure they’ll be endless. Happy birthday. 36. As you celebrate your birthday today, I hope you shine bright like a diamond. Love you. 37. Happy birthday to my sports lady. Welcome to the 30s. 38. A lot of memories gets better by the year and you’ve created most of them. Happy birthday. 39. You’re a selfless being who’ll rather spend her energy on others than yourself. Happy birthday. 40. You’re not just a gift to our family but to the world. Happy birthday kid sis. 41. Thanks for being a source of blessing to me. I hope that you receive multiple fold of blessings impacted in me through you. Happy birthday. 42. Happy birthday to you numero uno. Enjoy your day. 43. Cheers to greater years ahead, the lives you’ll save and memories you’ll keep creating. I cherish you. 44. Thanks for touching life and making a difference to the younger generation. Happy birthday. 45. You have a unique gift of encouragement and I’m glad you’ve explored that opportunity. Happy birthday my Darling speaker. 46. You’ve gone out of your way for so many people. I wish you a year filled with ten fold of happiness you’ve brought into people’s life. Enjoy your day. 47. I wish you a wonderful life filled with unending memories on your birthday. Enjoy your day darling. 48. It’s unbelievable that you’re 50. You don’t look as old as your age. Happy birthday. 49. Your life is filled with creative contents that I can’t explain. Maximize your potentials as you add a new year today. 50. Today is a not just a regular day but a day dedicated to celebrating you. Happy birthday. 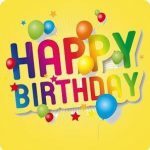 I hope you enjoy these collections of happy birthday messages. 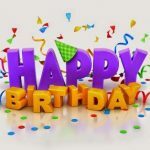 There are more birthday wishes that you’ll love and you can just check them out in the related post below. 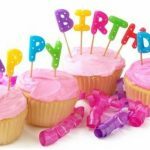 Before you go there, don’t forget to share these collections of happy birthday messages with your friends through the social networking icons below.